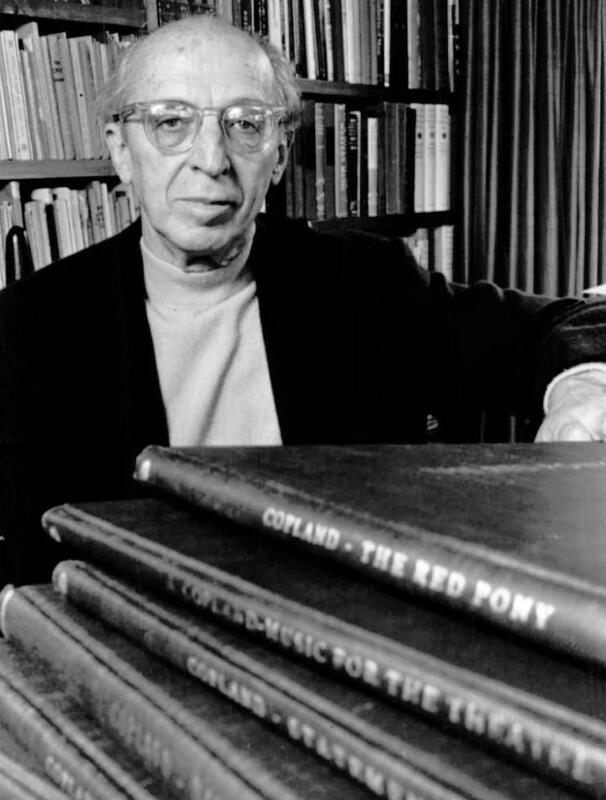 I grew up on classical music long before I discovered rock & roll, but the closest I’ve ever come to feeling transcendence was listening to Aaron Copland, especially the closing section of Appalachian Spring — the best definition of “God” this unbeliever has ever heard. But I recently sat down for the first time in a long time with Aaron Copland’s 3rd Symphony, with its soaring and majestic rises and falls, its quiet optimism and wide-open unending vistas and faraway American horizons. The work was debuted in 1946, a year after the Allied victory in World War 2. Copland’s music was uniquely “American.” He invented the musical vocabulary we’ve come to know in all those old western movie classics. But listening to this symphony in its historical context — the aftermath of the world’s greatest conflict — gives it added weight. You can hear quiet echoes of peace and the hope that this final, catastrophic war would be the last. There are also echoes of victorious celebration of the fact that “we” had won but only at such a great cost. There was a whole society to rebuild, but a better world was on the horizon with no one to stand in our way. But most interesting is that the final movement incorporates his earlier work “Fanfare for the Common Man” slightly rearranged and given greater majesty. The fanfare was originally written in 1942 partly in response to America’s entry into WW2, so the 3rd symphony uses a piece of music that bookends the world’s most devastating war. The Fanfare is there to remind us that even with our victory, wrought by technology and with the promise of science solving all the problems ahead of us, at its heart America’s hope lies not with machines and technical prowess, but with the common man and woman. Next Post: Here’s how Ronald Reagan can help in the fight against Alzheimer’s.